Living in Hong Kong is quite an experience. In some aspects it is similar to China – part ultra developed and part old World. 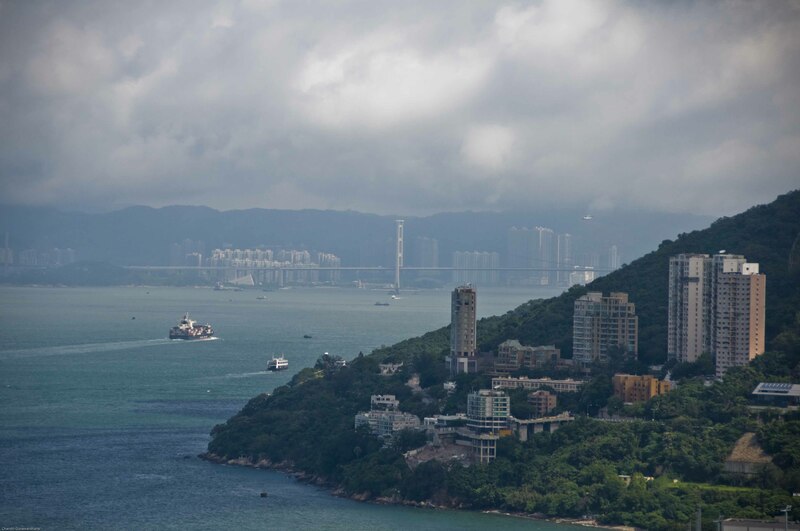 Hong Kong is one of the most densely populated places on Earth and rents are shockingly high. The rent you pay for a 4 bedroom apartment on Hong Kong Island is the same as what you would pay for a large villa in the Mediterranean or Australia. 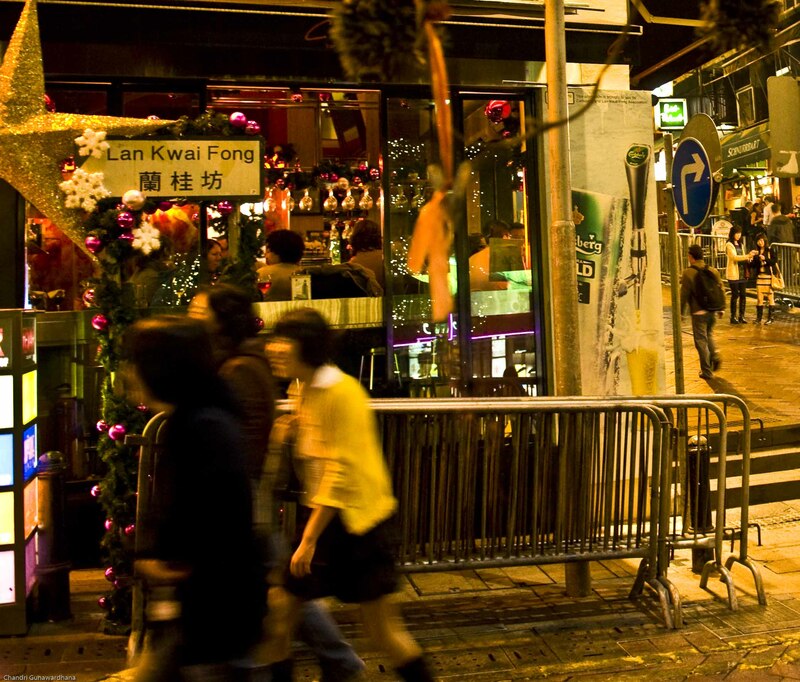 Hong Kong Island nightlife is most active in a very small hilly section with narrow cobble stoned streets with dilapidated buildings called Lan Kwai Fong or LKF. Here you can find bars, pubs and restaurants in a variety of themes, serving food from almost any part of the World. LKF is packed to capacity, especially with expatriates, on almost any night of the week. One of my favourite restaurants was the Chilli Fagara, which served authentic Szechuan fare, with the chillie factor ranging from “hot” (which is pretty hot!) to “mind blowing fire engine clanging tongue numbing hot”!Bar George served good cocktails with good contemporary music spoilt only by the Thai lady-boys and Philipino call girls that hang around in search of that lonely male expat. 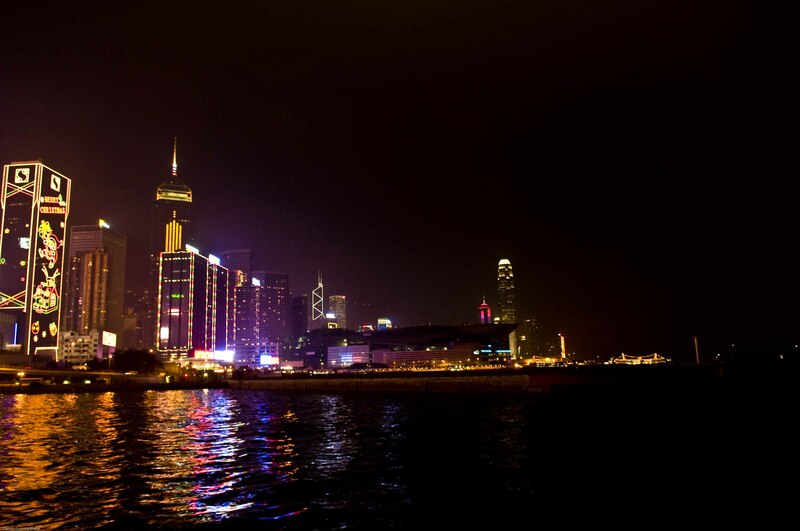 Another of my favourite hangouts is the Royal Hong Kong Yacht Club, situated at Causeway Bay (another area for HK nightlife) and from where you could get an amazing view of the entire Victoria Harbour. Times Square one of the largest shopping centers in Hong Kong, at Causeway Bay, is a very happening place especially during the New year’s Eve celebrations, when the count down occurs amidst much partying and to streets thronged with bodies writhing to endless beats. Shopping is a very popular activity in Hong Hong on a wide spectrum from the swanky malls in Central and Pacific Place to the markets in Wanchai, Causeway Bay and Stanley….not to forget the famous Lady market on the Kowloon side where you will find it almost impossible to separate the counterfeit from the original. You could buy anything one desires in Hong Kong. You just need to have the time and the money! Stanley on the South side of Hong Kong Island is a very pretty sea-side town with a beautiful promenade and lots of nice restaurants along it. Stanley also has a nice shopping centre and a market with a wide array of items. Most of the garments for children are branded and are at rock bottom prices when compared with the city malls or any comparable store in the US or Europe. My perfect Sunday afternoon in Stanley would be to browse around the market, picking up a few interesting items, then relax by the boardwalk sipping a glass of Cloudy Bay Sauvignon Blanc. Families saunter past lazily as a jazz band ad libs under the sultry heat. Time seems to pause for a moment as the sun sets in the distance out of sight, and then all too soon it is time to head back home to the real Hong Kong that moves at breathless pace.